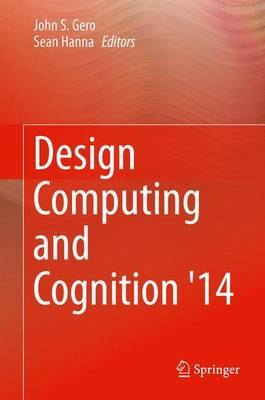 This book details the state-of-the-art of research and development in design computing and design cognition. It features more than 35 papers that were presented at the Sixth International Conference on Design Computing and Cognition, DCC'14, held at University College, London, UK. Inside, readers will find the work of expert researchers and practitioners that explores both advances in theory and application as well as demonstrates the depth and breadth of design computing and design cognition. This interdisciplinary coverage, which includes material from international research groups, examines design synthesis, design cognition, design creativity, design processes, design theory, design grammars, design support and design ideation. Overall, the papers provide a bridge between design computing and design cognition. The confluence of these two fields continues to build the foundation for further advances and leads to an increased understanding of design as an activity whose influence continues to spread. As a result, the book will be of particular interest to researchers, developers and users of advanced computation in design and those who need to gain a better understanding of designing that can be obtained through empirical studies.